Heartburn is a condition in which there is a burning sensation and pain in the chest and stomach just behind the breastbone. Gas, bloating, nausea difficulties in breathing and acidic/sour taste in the mouth or throat are some of the common symptoms of heartburn. 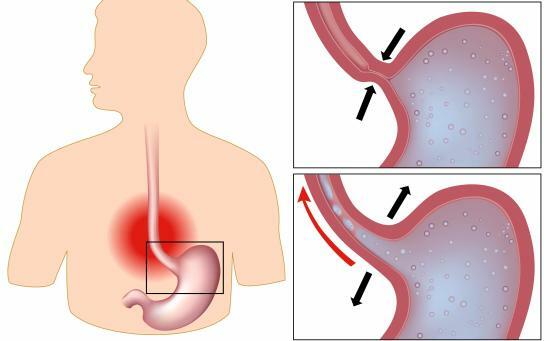 When hydrochloric acid, the acid which is used to digest the food is released to the esophagus leads to heartburn. Apart from this, consumption of alcohol, smoking and heavy intake of acidic foods also leads to heartburn. If you are also gasped with heartburn then there is no need to worry as there are many home remedies that help to get rid of heartburn. As soon as you feel a burning sensation behind the breastbone, immediately drink a full glass of water. This is one of the best home remedies for heartburn if the condition is not too chronic. Extract juice from raw potatoes without removing the peels of the potato. Add this extracted juice to some other juice of your choice and drink it. This is one of the proven home remedies for heartburn. Drink chamomile tea every time after having meals. This relieves you from the esophageal irritation. Drinking aloevera juice is also one of the effective home remedies to get rid of heartburn as it helps to heal the intestinal tract. Eat loads of papaya. This is one of the proven home remedies for heartburn. You can also purchase the papaya chewable tablets from your nearby chemist if you are not comfortable with eating papaya, as this also helps to get rid of heartburn. Eat licorice. This is one of the proven home remedies for heartburn. It not only helps to get rid of heartburn but also assists in treating the esophagus and stomach ulcers. Apart from using these home remedies you also need to make some quality changes to your lifestyle. Stop eating acidic foods and also give up the habits of drinking alcohol and smoking. If you can make these changes to your lifestyle and use these home remedies then, you will never be affected with heartburn.